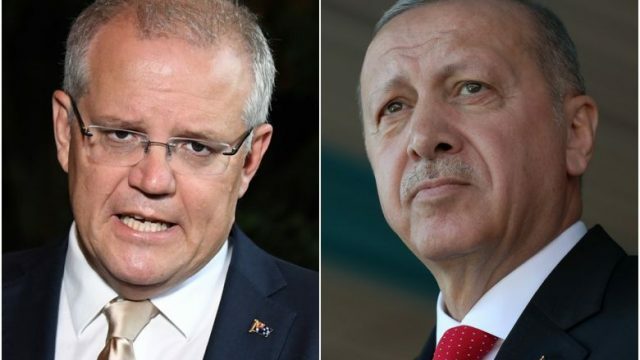 Scott Morrison sparring with Recep Tayyip Erdogan over Gallipoli should be taken with a grain of salt. Both men are facing voter uncertainty and an election they may lose. Every Generation gets fooled by an idea that turns out to be a con. For me, it was the war in Vietnam. The honouring of those lost in war is very different in Australia. Perhaps this ANZAC Day, it’s not who we remember, but rather those we forgot. History enthusiast Lauren Ford reflects on the commemoration of Anzac Day around the nation and the new generation of young Australians leading the charge to remember the fallen. What is the ANZAC legend? Rainer the Cabbie has stumbled upon a great documentary on the ANZAC legend that he wants to share with the TBS community – “Lest We Forget what?”, airing on the ABC tonight. Author Kerry White details the journey in March this year to Gallipoli made by two Vietnam veterans in order to salvage important ANZAC commemoration plaques. Woolworths – the new #Vodafail ? As the centennial celebrations approach, David Kent warns of a half-decade set to be filled with “legislated nostalgia” of the ANZAC legend.